The postulations and principles evolved by ancient intellectuals were based on intuition and conscience related knowledge; whereas modern intellectuals rely on cultivated knowledge. However, any modern scholar, when in doubt or dispute, is required to refer to the roots of words or concepts contained in Sanskrit, Latin, Greek or some other standard language. These standards were evolved out of pure and pious hearts and minds of noble individuals. Bhagawan Sri Sathya Sai Baba�s divine mission included revival of ancient values. It is our sacred duty to impart Universal Values in the young minds. All the sacred works of both ancient and modern intellectuals are worthy of reverence and emulation. This book cites Baba�s words on ideal Gurus; Views and Experiences of various scholars; and also brief references to noted philosophers and their philosophies. 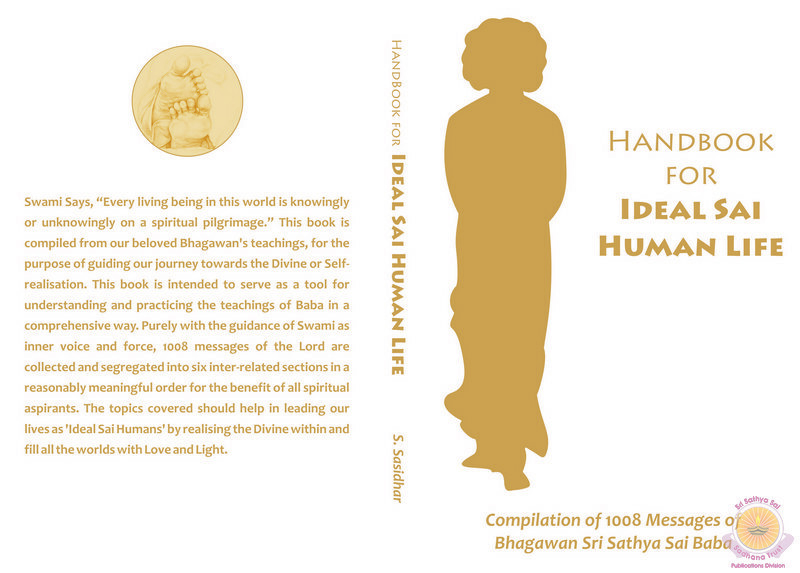 The booklet contains among other prayers, Suprabhatam, 108 Namavali, Mangala Arati and Sai Gayatri with their meaning. 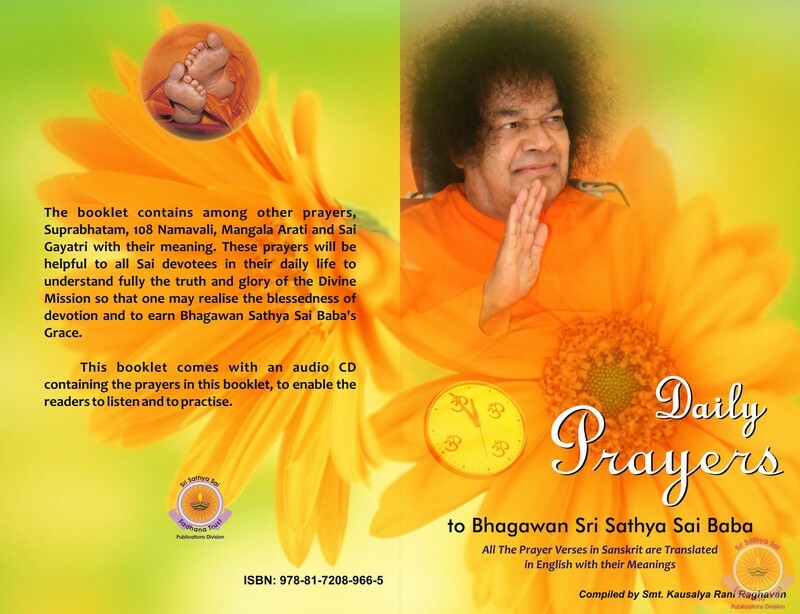 These prayers will be helpful to all Sai devotees in their daily life to understand fully the truth and glory of the Divine Mission so that one may realise the blessedness of devotion and to earn Bhagawan Sathya Sai Baba�s Grace. This booklet comes with an audio CD containing the prayers in this booklet, to enable the readers to listen and to practise. 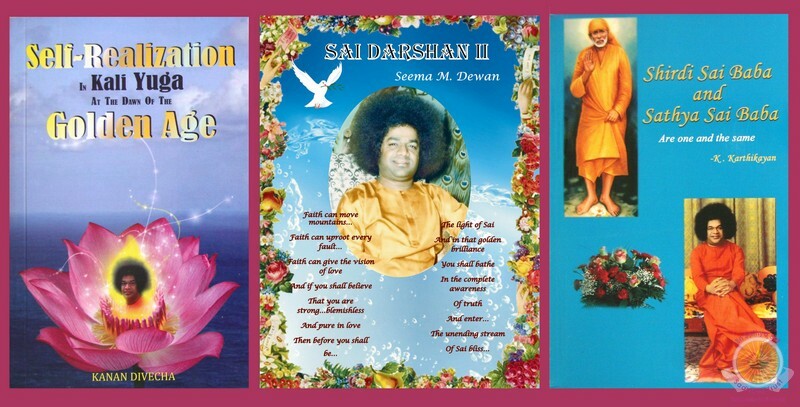 Swami Says, �Every living being in this world is knowingly or unknowingly on a spiritual pilgrimage.� This book is compiled from our beloved Bhagawan�s teachings, for the purpose of guiding our journey towards the Divine or Self-realisation. This book is intended to serve as a tool for understanding and practicing the teachings of Baba in a comprehensive way. Purely with the guidance of Swami as inner voice and force, 1008 messages of the Lord are collected and segregated into six inter-related sections in a reasonably meaningful order for the benefit of all spiritual aspirants. The topics covered should help in leading our lives as �Ideal Sai Humans� by realising the Divine within and fill all the worlds with Love and Light. 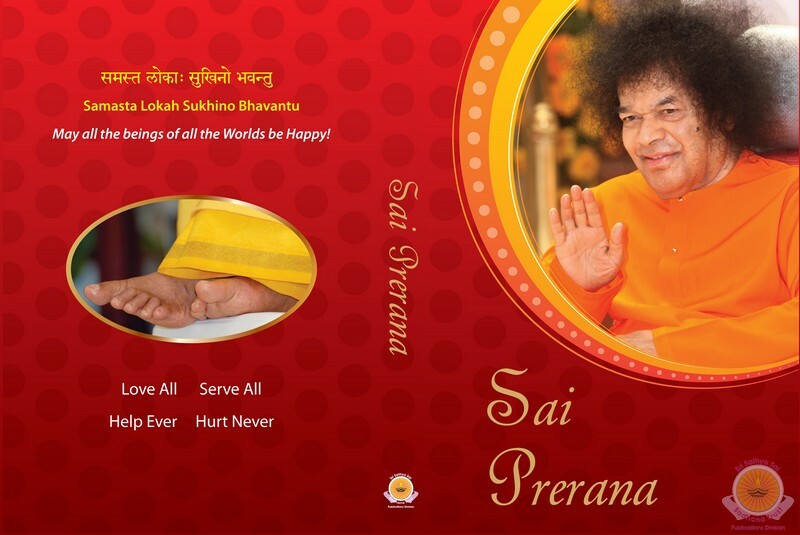 Sai Prerana is a beautifully designed handy notebook (It has 2 multicolour photos of Swami) that is useful for noting down things to be done during the day or already done, to copy important short notes, points to remember etc. More importantly, it has special quotes taken from various discourses of Bhagawan, at the end of every page, meant for people who want to lead a meaningful life. If these teachings are practised sincerely, they can change the lifestyle of any individual, especially the youth about whom Bhagawan cares so much. �Healing The Inner Relationship� is the fourth book of Dr. John Goldthwait Ph.D, a practicing transpersonal psychiatrist and an ordained minister. His earlier books are �Purifying the Heart�, �The Power of Thoughts�, and �A Practice for Purifying the Heart�. All of them aim at the inner transformation and development of love in oneself so that peace and harmony prevails in the world. 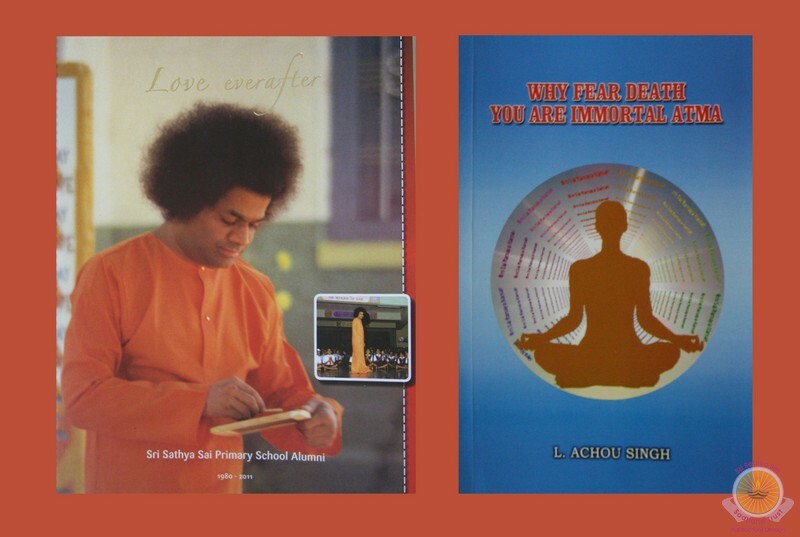 These books are based on the teachings of Bhagawan Sri Sathya Sai Baba of whom the author is an ardent devotee. In the present book, the author writes about the most important aspect of healing the inner feelings by opening the heart to pure love, which is the fundamental principle behind individual transformation and also the most potent power on earth. He suggests a very interesting and unique way of using the �parent child relationship� in one�s attempt to open the heart to love. A very useful little book for all those who want to lead a life of peace, love and harmony with the rest of the world. 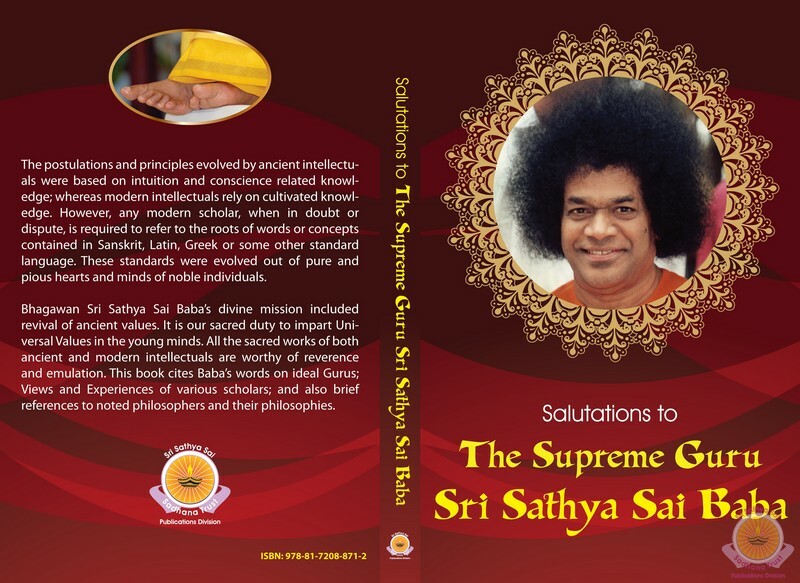 A chronicle of experiences by the Alumni of Sri Sathya Sai Primary School from 1980 � 2011. L. Achou Singh expounds on the various teachings of Bhagawan Baba on drawing sustenance from the most reliable source of strength, the Atman. Kanan Divecha writing with conviction, reminds us that the Avatar has come to avert the crisis that has come upon Humanity. Cultivation of nearness to Him in the heart will be rewarded beyond measure. Seema Dewan calms us asking us to lay all our fears aside as Sai has gone nowhere. If anything, He has only taken yet an other step closer to us to take us across the ocean of samsara by the grace of His Divine Love and oars of Faith and Patience. Readers of this book by K. Karthikayan will be able to dive deep into the ocean of authenticity of the declarations; retrieve the priceless pearls of life history; imbibe the limitless Divine manifestations in every field of the Avatar�s mission and understand the concept for the purpose of coming of two Sai�s who are one though different in body and time.